Alternative Medicine may contact me regarding special promotions and events. *Rate valid only in the U.S. Only. 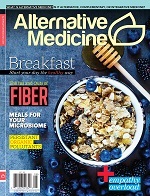 Natural solutions is published 10 times per year, Alternative Medicine is published six times per year.